Mo taking BOB at the Singing River KC in September under Doug Crane. 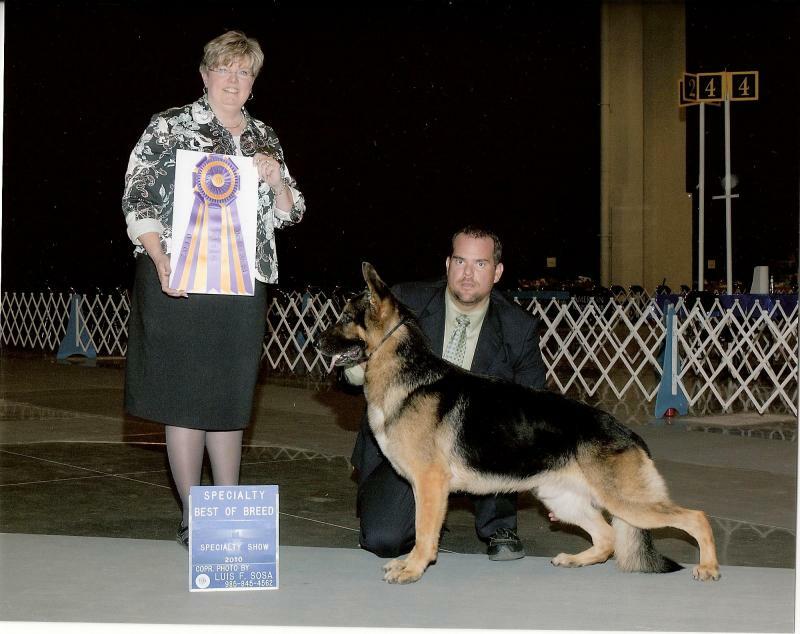 Mo taking Best of Breed at the Mississippi Gulf Coast German Shepherd Club show in September. 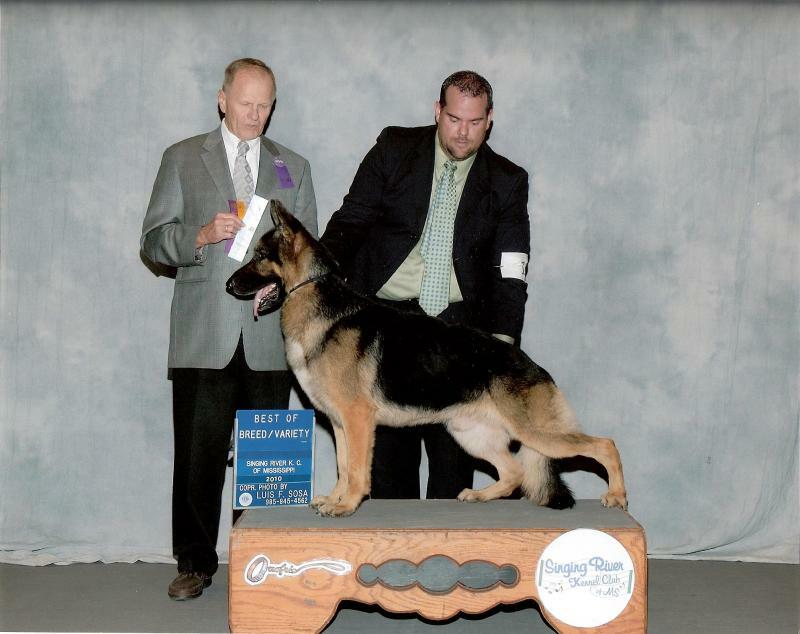 WE HAVE 9 WONDERFUL PUPS FROM MO AND OUR DEMI - A CH KALEEF'S FARGO DAUGHTER. Mo has also been bred to a lovely black Samauri daughter from Florida. Our litter is 10 weeks old now and the litter in FL is 7 weeks old. Mo is OFA'd hips, elbows, thyroid, cardiac, and temperament tested, giving him the coveted CHIC award from OFA.